If you’re worried about your bad credit, you’ll want to do everything in your power to improve your rating as quickly as possible – especially if you are looking to purchase a home in the near future. Furthermore, improving your credit rating can give you access to better interest rates on mortgages or even help you get that job you’re after. IMPORTANT! If you are currently involved in a home loan transaction, speak with your trusted mortgage lender before taking any action regarding your credit! 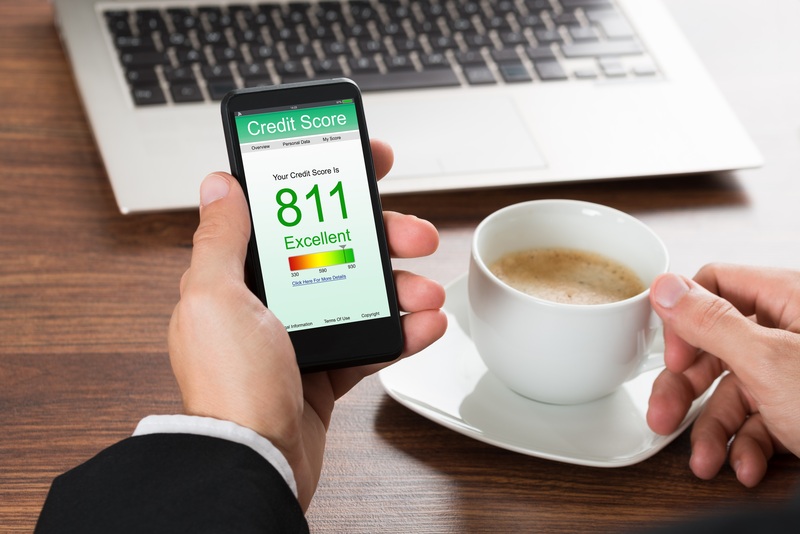 So how can you boost your FICO score quickly and easily? Here’s what you need to know. Because credit reporting agencies don’t always keep 100% perfect records, there’s a good chance that your report contains at least one error. One recent FTC study found that 25% of consumers have an error on their credit report. Furthermore, in 5% of cases, the mistakes were actually severe enough to impact the loan terms that borrowers were able to negotiate. You can get your annual credit report from all three credit reporting agencies for free. Carefully read it. If you see any errors – if your name is misspelled, if they have the wrong address on file, if there are late/unpaid charges that you didn’t make – you can dispute the items in question. Your debt-to-credit ratio (also known as your utilization ratio) is one of the more important factors that determine your credit score. It measures the outstanding balance on your accounts in relation to the total credit available to you. Lenders can then assess your capacity to take on new debt. If this number goes beyond 30 percent, you’ll start to see your credit score drop. Ideally, you should aim for a utilization ratio below 10 percent. This will prove to your lender that you can responsibly pay for the credit you use. A great way to boost your credit score can be as simple as automating your monthly payments. Whether it’s your mortgage, credit card, or student loan, a pre-authorized monthly payment will ensure that everything gets paid on time. Most of all, it will help give you a great credit history. 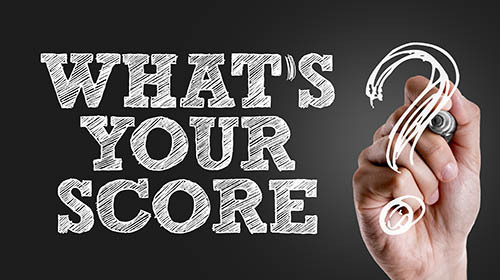 Your FICO score is a number that determines your eligibility for mortgages and other loans. These are general tips to help with your credit score and improve the overall reporting of your credit. Call us today to learn about what kind of a mortgage your credit score can afford you. When you begin shopping for a home mortgage, you may be drawn to advertisements for ultra-low interest rates. These may be rates that seem too good to be true. However, in many cases, you may be unpleasantly surprised and even disheartened to learn that you do not qualify for the advertised rate. You can structure your loan in a more advantageous way by learning more about the factors that influence your interest rate. One of the most important factors that influence an interest rate is your credit score. Lenders have different credit score requirements, but most have a tiered rating system. Excellent credit scores qualify for the best interest rate, and good credit scores may qualify for a slightly higher rate. Because of this, consider learning more about your credit score. Take the time to correct any errors that may be resulting in a lower score. In addition, the amount of your down payment will also play a role in your interest rate. The desired down payment may vary from lender to lender, but as a rule of thumb, the best interest rates are given to those who have at least 20% to put down on the property This does not include subordinate or secondary financing. If you are applying for a higher loan-to-value loan, you may expect a higher interest rate. In addition, the total loan amount will also influence the rate. There are different loan programs available but one of the biggest differences in residential loans is for very large loan amounts. The qualification for a jumbo loan will vary for different markets. These loans qualify for different rates than conventional loans with a smaller loan amount. While you can use advertised interest rates to get a fair idea about the rate you may qualify for, the only real way to determine your mortgage rate will be to apply for a loan and to get pre-qualified. Contact your local mortgage lender today to request more information about today’s rates and to begin your pre-qualification process. The decision to buy a second home may be made for a number of reasons. For example, you may have a destination where you and your family love to visit, and you may be ready to settle into your own space in this location. You may be considering the tax benefits associated with a second home. And you may even have plans to live in the home as your primary residence after you retire. While there are numerous benefits associated with the purchase of your second home, there are concerns about how affordable it will be for you to manage the additional expense of another mortgage payment. A second mortgage payment can be a rather major expense to take on, but it is not the only expense related to buying the new property. In order to ensure that the mortgage payment is affordable, you need to ensure that all aspects of secondary home ownership work within your budget. For example, consider HOA dues, repairs and maintenance expenses, property taxes, insurance, and cleaning or lawn care service since you will not be available to handle these chores on a regular basis. If you can comfortably take on all of these expenses, you may make your purchase with confidence. While your current budget may easily accommodate the new mortgage payment and the related expenses, the unfortunate truth is that your income or expenses may not remain static in the future. You may suffer from unemployment or a serious illness that reduces your income. You may have extra expenses due to a car accident or severe damage to a home. These are just a few of the many things that can happen. It’s important that you have an adequate cash reserve in your emergency savings account that allows you to pay for all of your expenses for at least several months. Because your expenses will increase substantially with your new mortgage payment, you may need to increase your emergency savings account balance. For more information, speak with your mortgage professional to get a quote for your new mortgage payment and interest rate. If you are looking to buy a home, you may want to consider shopping for a loan first. Having your financing squared away ahead of time can make it easier to be taken seriously by buyers and help move along the closing process. For those who are looking to get a mortgage soon, keep in mind that the Debt-to-Income ratio of the borrower plays a huge role in the approval of your mortgage application. What is a Debt-to-Income Ratio? A debt-to-income ratio is the percentage of monthly debt payments compared to the amount of gross income that a person earns each month. Your gross monthly income is typically the amount of money you earn before taxes and other deductions are taken out. If a person’s monthly gross income is $2,000 a month and they have monthly debt payments of $1000 each month, that person would have a DTI of 50 percent. The lower the DTI the better. 43 percent is in most cases the highest DTI that potential borrowers can have and still get approved for a mortgage. What Debt Do Lenders Review? The good news for borrowers is that lenders will disregard some debt when calculating a borrower’s DTI. For example, utilities, cable, phone and health insurance premium would not be considered as part of your DTI. What lenders will look at are any installment loan obligations such as auto loans or student loans as well as any revolving debt payments such as credit cards or a home equity line of credit.In some cases, a lender will disregard an installment loan debt if the loan is projected to be paid off in the next 10-12 months. Almost any source of income that can be verified will be counted as income on a mortgage application. Wage income is considered as part of a borrower’s monthly qualifying income. Self-employed individuals can use their net profit as income when applying for a mortgage, however, many lenders will average income in the current year with income from previous years. In addition, those who receive alimony, investment income or money from a pension or social security should make sure to include those figures in their monthly income as well when applying for a loan. How Much Debt Is Too Much Debt? Many lenders prefer to only offer loans to those who have a debt-to-income ratio of 43 percent or lower. Talking to a lender prior to starting the mortgage application process may help a borrower determine if his or her chosen lender offers such leeway. A borrower’s DTI ratio can be the biggest factor when a lender decides whether to approve a mortgage application. Those who wish to increase their odds of loan approval may decide to lower their DTI by either increasing their income or lowering their debt. This may make it easier for the lender and the underwriter to justify making a loan to the borrower. For more information, contact your local mortgage professional today. 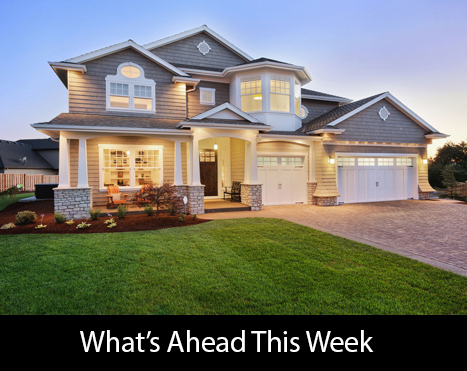 Last week’s economic news included the NAHB Housing Market Index, Commerce Department releases on housing starts, and building permits issued. Weekly reports on mortgage rates and new jobless claims were also released. Shortages of available single-family homes have driven up home prices and increased competition among homebuyers. Short inventories of homes for sale are affecting affordability in many areas, although buyers seem motivated by lower mortgage rates and some easing of mortgage requirements. Analysts have repeatedly said that the only solution to the shortage of homes is building more homes. Fortunately, the National Association of Home Builders reported that builder sentiment concerning U.S. housing markets increased in August. The HMI moved up to a reading of 60 in August as compared to July’s reading of 58. Readings over 50 indicate that a majority of builders surveyed are confident about housing market conditions. According to NAHB, home builders continued to face obstacles including shortages of buildable lots and skilled labor. Regulatory issues were also cited by some builders, but overall, builders remain optimistic about housing market conditions. Commerce Department readings on housing starts and building permits issued were mixed. Housing starts rose from July’s reading of 1.186 million permits issued to 1.211 million permits issued in August. July’s reading was the second highest since the recession but was driven by multi-family construction. Building permits were lower in August with a reading of 1.152 million permits issued against July’s reading of 1.153 million permits issued. Analysts said that under present market conditions, there is little reason for homebuilders to increase single-family home production as current pricing has put many would-be buyers on the sidelines. Freddie Mac reported that average rates for 30-year and 15-year fixed rate mortgages dropped last week while the average rate for 5/1 adjustable rate mortgages rose. The average rate for a 30 year fixed rate mortgage was 3.43 percent and the average rate for a 15-year fixed rate mortgage was 2.74 percent. Both readings were two basis points lower than the prior week. The average rate for a 5/1 adjustable-rate mortgage was two basis points higher at 2.76 percent. Average discount points held steady for fixed rate mortgages at 0.50 percent; average discount points for 5/1 adjustable rate mortgages were lower at 0.40 percent. New Jobless claims fell by 4000 claims to 262,000 new claims, which was lower than analyst expectations of 265,000 new claims and the prior week’s reading of 266,000 new claims. Job security is important to home buyers and signs of strong labor markets can help propel would-be buyers into the market. This week’s scheduled economic news includes releases on new/existing home sales and consumer sentiment. Weekly reports on mortgage rates and new jobless claims will be released on schedule. Bi-weekly or Monthly Mortgage Payments – Which is better? When you apply for a new mortgage, your lender may ask if you want to set up monthly payments or bi-weekly payments. At one time, monthly payments were common, but bi-weekly payments are increasing in popularity. This is because they break a large expense up into two smaller and seemingly more manageable payments. In addition, you can also make what equates to a full extra payment on the mortgage each year with a bi-weekly payment structure. Before you decide which is best for you, consider a few factors. Many people may believe that if they get paid every two weeks, a bi-weekly mortgage payment is a better option than a monthly mortgage payment. This is not always the case. You should consider other sources of income and how much your payment is in relation to your paychecks. In addition, consider which part of the month your other regular bills are due. This is critical to establishing the best payment plan for you. You can still enjoy the benefit of making an extra payment per year with a monthly mortgage payment schedule. For example, you would simply need to pay $100 per month more each payment to realize the same results. When you establish a bi-weekly payment plan, this extra payment is automatic. This may be ideal if you do not think you would stick with paying more per month on your own. However, if you want more control over your monthly payment amount and when you make the extra payment, it may be best to choose a monthly mortgage payment. The final factor to consider is the financial obligation. When you set up bi-weekly payments, your total amount paid per month will be higher. This means that your total financial obligation will be higher than if you had a monthly payment plan. This financial obligation may impact your ability to qualify for other loans or to achieve other goals. If you want to pay your mortgage off early, you can choose to make an extra small payment with each monthly payment or set up a bi-weekly payment plan. While each will give you the same overall result over the course of the long term, one option may be preferred for your financial situation. Consider the pros and cons of each option carefully to make a better decision for your financial circumstances. For more information, contact your trusted mortgage professional today. If you’re just jumping into the game of home purchasing, you are likely considering all of your loan options and may even have heard the term mortgage rate lock. For those who don’t like to gamble, a mortgage rate lock can offer a bit of reassurance, but there are also some downsides to this type of protection. Before signing off on this, here are the details on rate locks so you can make an informed decision. What Is A Rate Lock? For many people who are buying a home in such a tumultuous market, the idea of interest rates can make the heart race a little faster, but this is the purpose of rate locks which offer consistency in a market in flux. Instead of having to deal with day-to-day fluctuations of the rate – which increases or decreases what you owe – a rate lock is a lender promise that you will be held to a specific rate or your rate will not rise above a certain number. The easy thing about utilizing the rate lock, especially for a buyer who is less familiar with the market, is that it will enable you to instantly determine your monthly payments based on that rate. Instead of having to pay more per month, you’ll be able to estimate exactly what your payment will be and it won’t rise above the limit you’ve set for yourself. While daily fluctuations can be a drag, a mortgage lock takes the guesswork out of the day-to-day. 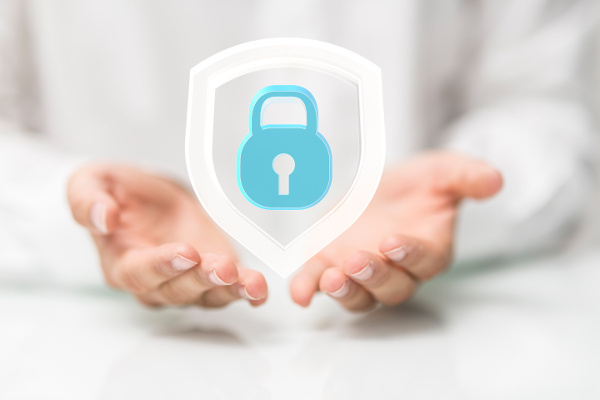 It might seem like a rate lock is an option that everyone would utilize given the stability, but lenders charge for this type of offer because of the risk factor. While lenders can certainly stand to gain if your rate lock is higher than the interest rates, in the event that they rise beyond this point, they will end up losing money. So, while a 30-day rate lock may not end up costing you, this type of lock stretched over a longer period may actually end up costing you more than fluctuating rates. If you’re not familiar with the world of investing and interest rates, a mortgage rate lock can sound like a great idea; however, there are downsides to this offer and they’re worth considering before getting locked in. If you are currently on the hunt for a home, you may want to contact one of our mortgage professionals for more information. If you’re looking to reduce your interest payments or get more favorable loan terms, there are lots of ways you can change your mortgage. But one of the most effective ways to take advantage of low-interest rates is with a mortgage refinance. That said, refinancing typically comes with a variety of costs and may not be a good solution for all homeowners. So how can you tell whether it’s a good idea to refinance your home? Here are three questions you need to ask yourself if you want to find out. How Much Equity Do I Have? If you have less than 20 percent equity in your home, your lender can require you to get private mortgage insurance. While refinancing could get you a lower interest rate and better terms, extra PMI costs will usually devour any savings you may have had. Before you decide to refinance your mortgage, determine how much equity you have in your home and how close you are to the 20 percent mark – if you can pay down enough of the balance to drop your PMI, refinancing may be a viable option. How Long Do I Plan To Live Here? When you refinance your home, you’ll pay administrative costs ranging from 3 to 6 percent of the loan’s value. You’ll need to do some calculations to determine your break-even point – the point in time when the money you save from a lower interest rate is equal to the amount of money you paid in administrative costs. 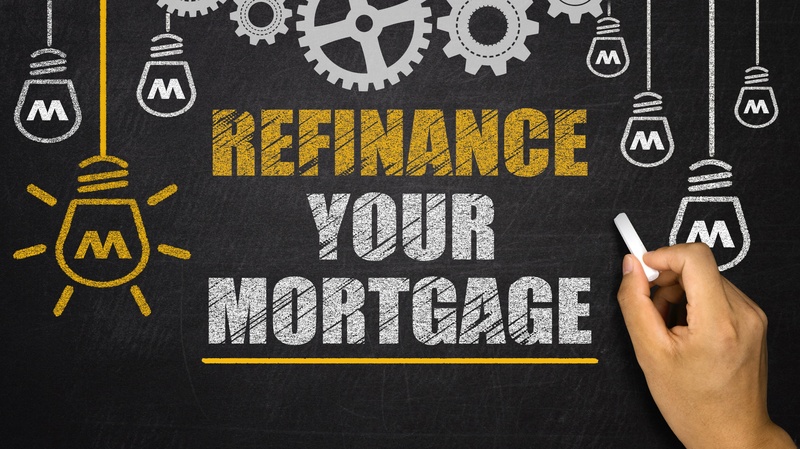 If you’re close to paying off your entire mortgage or if you plan to move before you hit the break-even point, a refinance will only cost you money. Is It A Good Time To Refinance? Refinancing creates a new loan based on your home’s current value – and if your home has increased in value since you bought it, you can cash out your equity. However, refinancing may also lose you money. For example, if you have $300,000 worth of equity in a $750,000 home, refinancing allows you to cash out your $300,000. But if your property value has decreased in recent years – for instance, if it’s dropped to $500,000 – then a refinance can change your equity status. Equity is your home’s current value minus your remaining loan balance. If you owe $450,000 and your property value drops to $500,000, then your equity is only $50,000 instead of the $300,000 you had before. The key lesson? Always check market conditions before refinancing a home. Refinancing is a complex issue with a variety of nuances. That’s why it pays to consult your local mortgage professional to learn whether a refinance is right for you. Call us today! Buying your first home is exciting. Many young people view homeownership as the definitive mark of adulthood, the final milestone on a decades-long journey. And while becoming a homeowner is cause for celebration, you’ll want to ensure you keep your enthusiasm in check just a little while longer. Keep a level head and you’ll easily avoid these common mistakes first-time buyers make. 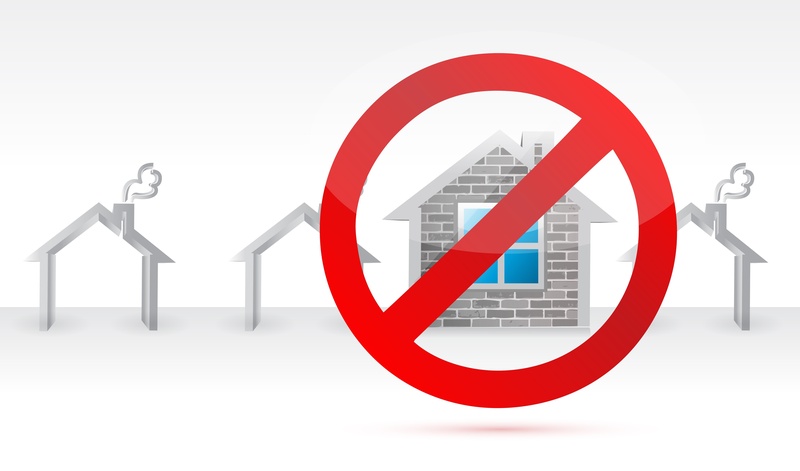 The American Society of Home Inspectors says 10 percent of home purchases happen without an inspection. Quite simply, buyers decide it’s better to save the fee for the down payment – but often, issues arise later that can result in multi-thousand-dollar repair bills. Foundation problems can be especially nasty, sometimes requiring a teardown. Before signing a contract, make sure you have a licensed home inspector view the property. While it’s good to start researching neighborhoods, mortgage terms, and home valuations online, keep in mind that online estimates are just that – estimates. Not all mortgages are created equal, and the many differences between loans can result in significant changes in the overall cost. For example, just because a lender is giving you a mortgage without an origination fee, that doesn’t make it a good deal – you could be paying a lot more in interest rates. Always make sure you thoroughly check and understand loan terms before signing anything. When you qualify for a mortgage, your lender will tell you the maximum home purchase price they’ll fund, based on your annual income as well as your debt-to-income ratio. However, just because you can afford a $500,000 two-story townhouse, that doesn’t necessarily make it a good idea to buy said townhouse. You’ll want to give yourself a cushion in the event that you lose your job, have children, need to pay medical expenses, or go back to school. First-time buyers often make a variety of mistakes when buying a home, but a mortgage advisor can help you to make the right decisions – decisions that set you on the best possible path toward homeownership. Contact your local mortgage professional today to learn more. When it comes to finding the best mortgage, your credit score is a major determinant as to the kinds of rates and conditions you can get. Lenders quite understandably want to manage their risk. But for a number of potential homeowners, these practices and policies can be a barrier to home ownership. The good news? If your credit score isn’t great, you can easily improve it and get better lending terms. Here are five steps you can take right now to give your credit a boost. Simply disputing errors on your credit report is one of the easiest ways to give your score a boost. The FTC says that 1 in every 5 Americans has errors on their credit report that have an impact on their score. 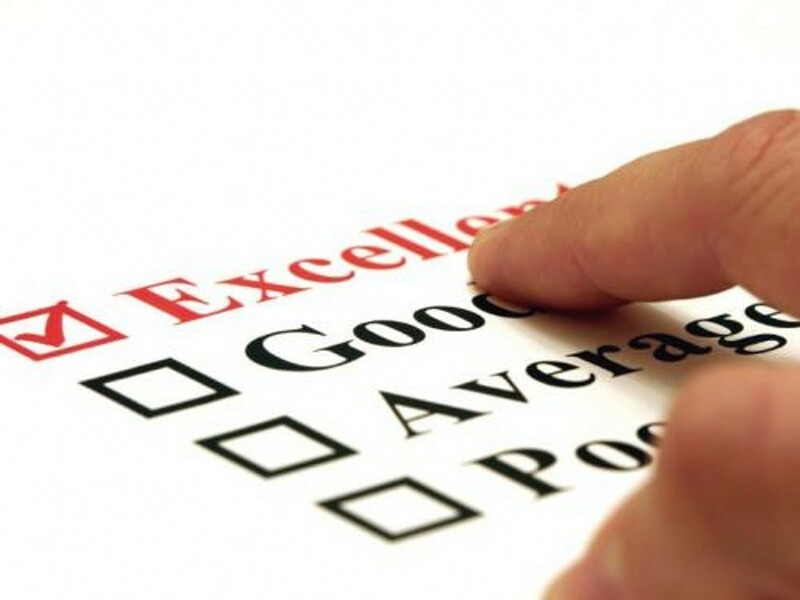 By simply disputing errors on your credit report, you can give your score a small boost almost overnight. Your credit utilization ratio – the amount of credit you’ve used compared to the total amount available to you – makes up 30% of your FICO score. In general, experts say that using more than 30% of your available credit can harm your score. If you can’t immediately pay down your debt below that 30% threshold, one great way to improve your credit utilization ratio is to ask for a credit limit increase. Having someone with good credit co-sign your lending agreement is a great way to improve your credit. When you get a co-signer for your credit card or car loan, the better quality credit line may help boost your score. Just make sure you stay on top of payments – otherwise both you and the co-signer will see your credit scores fall. While it is important to review your credit report and have any negative items removed, you’ll want to ensure that any positive entries – debts you’ve paid in full – stay on the report. When your credit report shows debts as paid in full, your score increases because it shows that you’re a responsible borrower. Improving your credit score doesn’t have to take years. These five strategies can help you to boost your credit and qualify for better mortgage loan terms. Contact us to learn more. This advertisement is for general information purposes only. Some products may not be available in all licensed locations. Information, rates, and pricing are subject to change without prior notice at the sole discretion of Ark-La-Tex Financial Services, LLC. 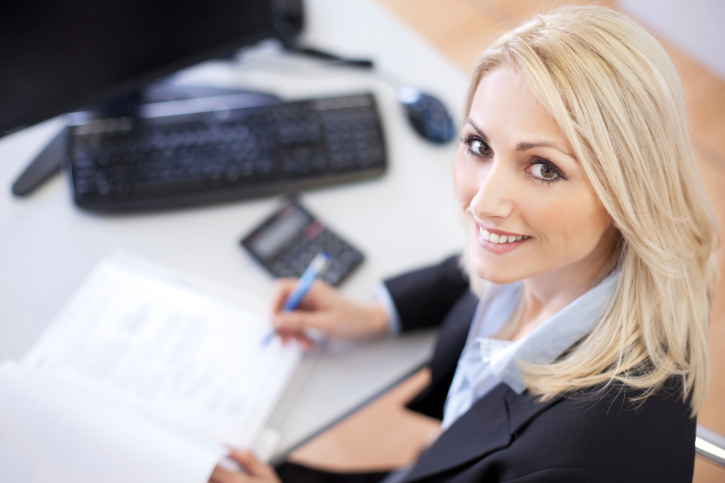 All loan programs subject to borrowers meeting appropriate underwriting conditions. This is not a commitment to lend. Other restrictions may apply. Keep up to date with everything that is happening, and always be in the know! What Makes Up A PITI Mortgage Payment? Is Now a Good Time to Cash Out Your Home Equity?